We produce work according to what we believe is true, good, and valuable, and the results are often reflections of fragments from our lives. This is especially true for Mele + Marie. 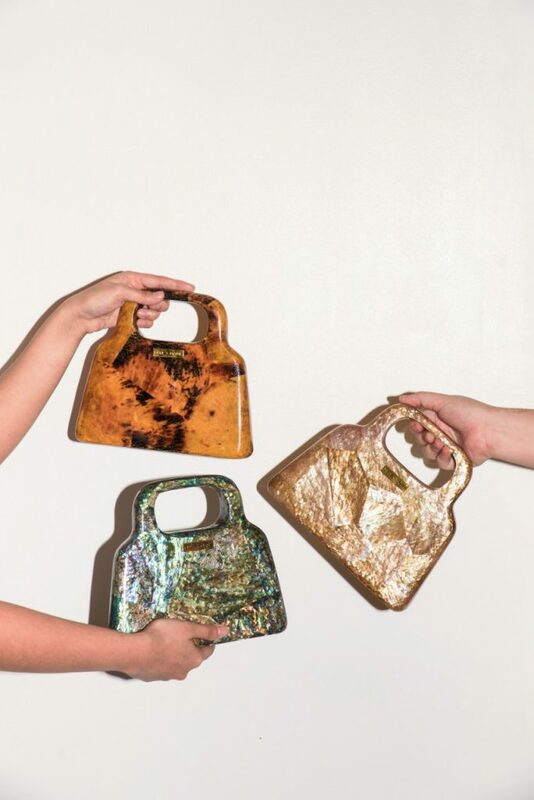 “If Hermès has the Birkin, Mele + Marie has the Hannah,” says the brand’s founder Rosemarie Oamil. Her husband Melecio Oamil Jr. had designed 24 Hannah models, all inspired by distinct moments from his life. The honey-and-rust-colored Hannah 1 or Brown Pin is a nod to mud—the aftermath of a flood in Melecio’s hometown in Nueva Ecija, where he grew up as a kid, oblivious to the calamity’s effects. The bag is his own emblem of bliss and hope. Meanwhile, the Hannah 9 or Brownlip Plain, done in ecru and with touches of gold, reflects the story of his family’s move to the big city; the pale brown is symbolic of the view of the concrete jungle from their 11th-floor condominium. They may look heavy, but the bones of these eight-inch minaudières, embellished with abalone shells, are acrylic, making it light. The intimate images of the past, paired with Oamil’s refined artistry, have been the brand’s ticket to the Paris and New York Fashion Weeks. Established in 2012, Mele + Marie will finally reach the shores of its roots in May, when it makes its debut at Manila Fashion Week.